Drywall dust, ugh! Have you just finished having renovations done? Or have you bought a newly renovated home? You made it through the tough part! All of the dust and dirt has settled and you’re left with a gorgeous – and newly renovated – space. Before you get too comfortable, though, take a moment to think about all of that dust and dirt. Sure, it’s settled…but where? Cleaning up after a renovation requires more than just vacuuming and scrubbing the floors. The air ducts in the home also need some attention. Most homeowners don’t think about their air ducts on a day-to-day basis…and that’s okay. You don’t need to think about them 24/7. Unless you’ve bought a newly renovated space or have finished renos of your own, that is. Any time construction takes place, a duct cleaning becomes essential. This has to do with all of the dust, dirt, and other construction materials that have been thrown into the air. Ask yourself: are there brand new cabinets in your home? How about a statement wall or even a beautiful new fireplace? For each and every renovation that has been done, you can expect construction materials like drywall dust or sawdust to be trapped inside of your ductwork. This is totally normal…but that doesn’t mean those materials should stay where they are. 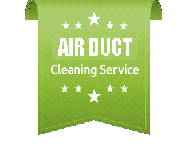 If you bought a home that was renovated, you should always have a professional air duct cleaning performed. The sooner it is done, the better! When dust, dirt, and construction materials are built-up inside of the ducts, it can affect many different aspects of your home. For starters, you can expect to pay out more on your monthly energy bill. Blockages of any kind cause your HVAC (Heating, Ventilating, and Air Conditioning) unit to work even harder to circulate air through the ducts. When blockages or built-up contaminants are removed, the air can flow freely – saving you money. If that wasn’t enough of a reason to have a duct cleaning performed, there is also your health and overall well being to consider. Does anyone in your home suffer from allergies? Have you noticed anyone experiencing cold-like symptoms, headaches, migraines, difficulty breathing, or sinus issues? These problems may be related to unclean air ducts. When contaminants remain inside of the ductwork for too long, airborne particles can then be pushed back into the air. That causes polluted indoor air, which can seriously affect your health if ignored. Breathing in unclean air is certainly not the way you want to celebrate a newly renovated home! Duct cleaning is important for every homeowner to think about. It leaves you with fresh, clean air that is free from any dust, dirt, or other materials. To keep your energy bill low and your air quality high, there is only one thing to do: bring in the professionals. A professional air duct cleaning should be done following renovations of any kind or after you have moved into a newly renovated home. Only then will you be able to sit back, relax, and enjoy your perfectly updated space.